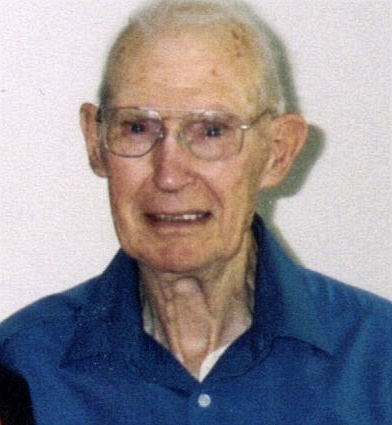 Lloyd Kenneth "LK" Morris, age 93, of Sioux Falls, passed away Saturday, February 12, 2011 at Lennox Good Samaritan Center in Lennox, SD. He was born August 10, 1917 in Sioux Falls to Frank and Goldie (Crittenden) Morris. The family moved to a farm near Clear Lake, SD in the spring of 1928. Lloyd served in the Army Air Corps during WWII as a airplane mechanic in the North Africa and Italy campaigns. After the war, Lloyd returned to Sioux Falls where he met his future wife through mutual friends at a local dance. Lloyd married Lois Mae Severtson on June 8, 1952 at her parents' farm near Hills, MN. They raised their family and lived in their Sioux Falls home for the next 50 years. In 1977, Lloyd retired as a Senior Master Sergeant from the South Dakota Air National Guard after 30 years of service. Lloyd was a member of the First Lutheran Church and the VFW. During the early years of his retirement, Lloyd and Lois enjoyed spending the winter months as "snowbirds" in Florida, Texas, and finally Arizona. Lloyd enjoyed researching his family genealogy, watching baseball on TV, and his various home improvement projects. Lloyd is survived by his wife Lois Morris, Lennox; two sons: Larry (Linda) Morris, Sioux Falls, Myron Morris, Sioux Falls; one daughter: Renae (Jon) Koser, Saint Louis Park MN; three grandchildren: Mike, Katie, and Emily Morris, Sioux Falls; one brother: Leslie Morris, Clear Lake, SD, and many nieces and nephews. He was preceded in death by his parents, two brothers and their spouses, Robert (Vera Mae) Morris and Marvin (Irene) Morris, two sisters and their spouses, Frances (Arthur) Shaver and Marjorie (Elmer) Paulsen. In lieu of flower, memorials are preferred to Alzheimer's Association or the donor's favorite charity. Visitation will be Wednesday, 5 PM to 8 PM at Barnett-Lewis Funeral Home. Funeral Service will be Thursday, 2 PM at Barnett-Lewis Funeral Home with burial to follow at Mount Pleasant Cemetery with Military Rites by Veterans of Foreign Wars Post #628. An on-line registry is available at barnett-lewisfuneralhome.com.